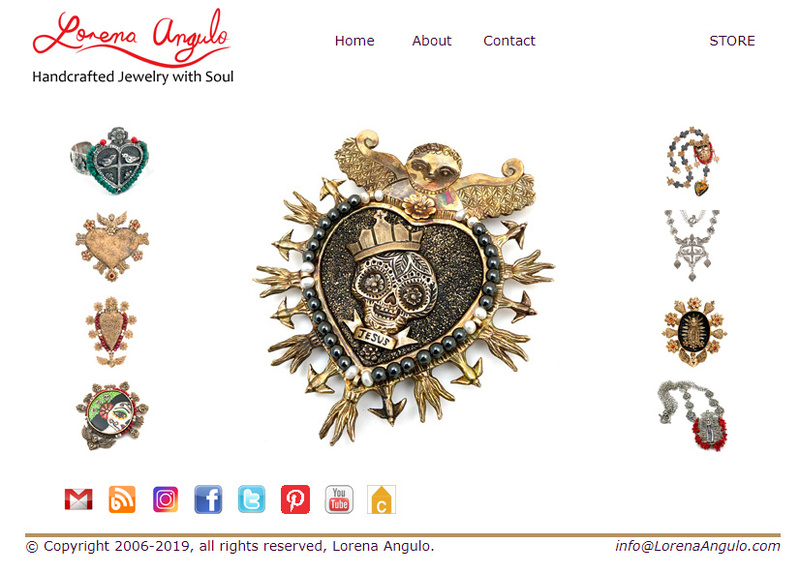 Lorena Angulo: Creative Leave ?! I though I needed a creative leave 4 days ago and I have to be honest....I just can NOT do it !! It only lasted two days, I was getting depressed. For me creating is like breathing, without it I can be very sad. I Love my kids and my husband, I am blessed to have them in my life. They make me the happiest person in the planet, but creating is the other part in my life that I can not go without it. 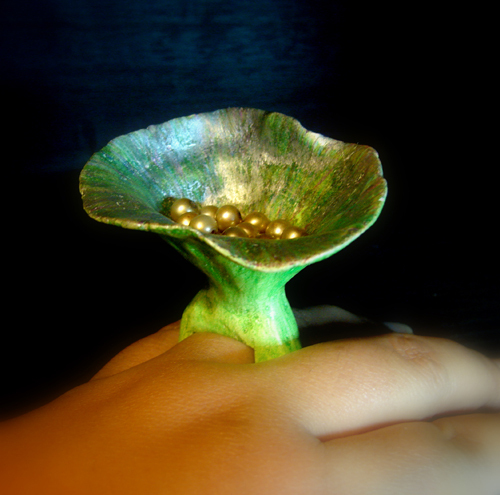 When I started taking silversmithing classes in 2006 I discover something magical. Little by little I started to form my wings by creating and since that day I have not stop. It does not matter what material I used or if it is jewelry or not, I HAVE to create. Creating makes me a happier person, a better mom and wife. 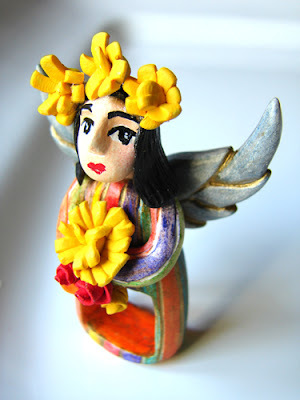 I just finished this angel with creative paperclay and I feel she represents how I feel when I am creating. Creative paperclay, colored pencils, acrylics and polymer clay. The bright colors transmit happiness and good energy and of course a good pair of wings to feel the freedom that I feel when I make my work. I also made this organic ring. 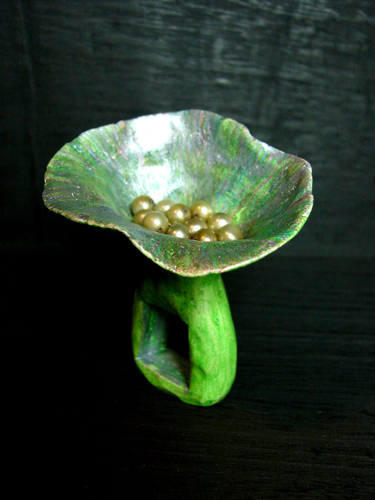 Creative paperclay, colored pencils, acrylics and pearls. Do you think I am crazy?? How do you feel if you are not creating? I feel crazy-sauce if I don't create something every day, even if it's trouble ;-}. Great post and I LOVE the angel and the organic ring, so beautiful. I also create a lot of trouble :o). I am the same way, Lorena. Even when we go on a real vacation, I need to bring something to make and a sketchbook for the ideas. I've been a follower for a while and just wanted to finally say "hi". Your work is beautiful and so very unique - the fact that you make such great pieces as rings. Cool. Felicidades. I shall try paperclay soon. Mary Lu: I am happy to find out I am not alone on this !! ;o) I also carry my sketchbook everywhere, you never know when inspiration will came out!! Jenny: Gracias !! I am very happy to meet you and more happy that you finally say "Hi". 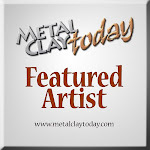 Love to see your comments and you must play with paperclay ! I am sure you will love it !! Show pictures !!! You take leave from a job. Not from creativity. There is just no way to do that. Creating keeps us sane. If I am not creating, then I am thinking about creating. It keeps me awake at night. oh, i get very very depressed when i'm not creating...it's not pretty. 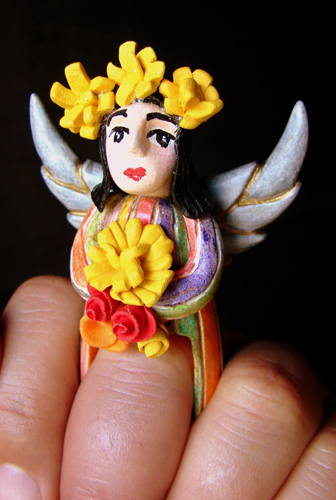 i love both rings very much - but the vibrant colors of the angel ring really speak to me! Shelby: I am with you about the house !! My kids and husband are incredible and never said anything. You're not crazy at all! Your angel is a beautiful representation of your feelings! I completely understand! There is an ebb and flow to creativity, but I don't think one can ever just shut it off. I love to create a lot of different things and when I'm creating I almost always think happy things! : ) But I would be most lost without my camera!! Happy Birthday Veronica !! Feliz Cumpleaños !! Queen of Hearts Class in Houston during Adorn Me!